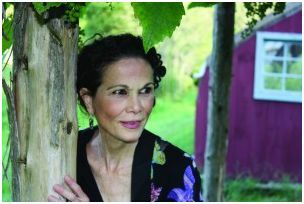 Julia Alvarez writer and poet is the 2017 Sarah Josepha Hale Award Medalist. She will accept the award on Saturday, August 19th at 8:00 PM. at the Library Arts Center. Alvarez graduated Middlebury College in VT and she went on to earn her Masters in Creative Writing from Syracuse University. She returned to Middlebury in 1988 and is now the Writer-in-Residence at Middlebury College. Alvarez has written How the García Girls Lost Their Accents, In the Time of the Butterflies, ¡Yo!, In the Name of Salomé and Saving the World. Alvarez will read from her work, answer questions and sign books. Morgan Hill Book of New London will have copies of several of books for sale that evening. Tickets are still available for the reception and dinner prior to the award event. If you are interested in attending the reception and dinner, please contact Andrea Thorpe at 603-863-3430. The 8:00 PM award ceremony is free and open to the public. Two Vermont women were arrested yesterday morning after a traffic stop on I-91 in Westminster. Vermont State Police say they stopped Tasha Benware of Springfield VT for a traffic violation and discovered she was driving with a suspended license. Passenger Krystle Holmes of Rockingham VT had an active arrest warrant for failure to appear for sentencing for criminal charges of False Impersonation. She was also charged with giving False Information to a police officer. Holmes was cited to appear today in Windham Criminal Court today for the arrest warrant. Benware and Holmes were each cited to appear in Windham Criminal Court on September 26, Benware for Driving with a suspended license and Holmes for giving False Information to a police officer. 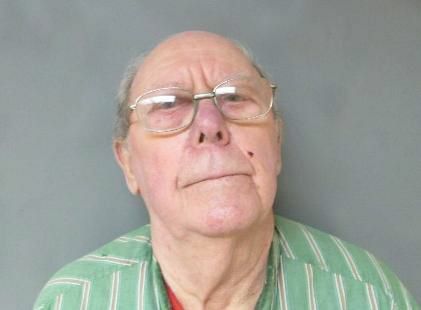 A Tuftonboro man who worked as a tree trimmer in the Upper Valley was arrested for voyeurism and stalking last Friday. 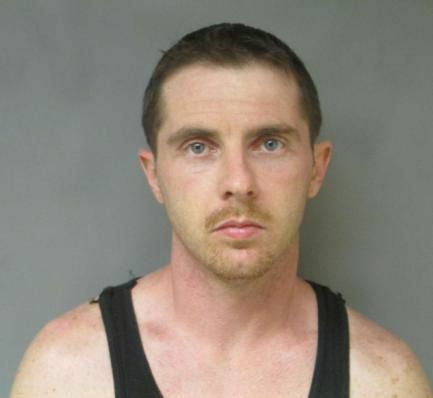 Hartford VT detectives, assisted by the NH State Police located 29-year-old Robert Black of Tuftonboro, New Hampshire and charged him with 11 counts of voyeurism and 11 counts of stalking. The arrest comes after Hartford Police investigated reports of Voyeurism in the Hemlock Ridge/Barrister Drive area where a male was trespassing and watching people in their residences. The voyeurism reports began in May of 2017 but police say an investigation revealed the incidents have occurred for several years and possibly involves more victims. During the investigation, the suspect was captured numerous times on video surveillance, which ultimately led to him being identified. Black was arraigned in Windsor County Criminal Court yesterday where he entered innocent pleas to a single felony count of lewd & lascivious conduct, eleven counts of voyeurism and a single misdemeanor count of stalking. Black was released after signing an unsecured $10,000 appearance bond. 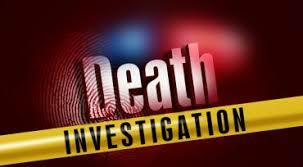 The investigation is ongoing. Anyone with information or feels they may have been a victim should contact Detective Adams at the Hartford Police Department at 802-295-9425. Hitchcock Health system (D-H). 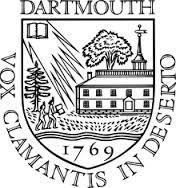 Conroy is a 1977 graduate of Dartmouth College and fondly remembers her time in Hanover and the Upper Valley. 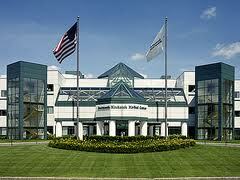 Conroy comes to D-H from Lahey Hospital and Medical Center in Burlington, MA, where she served as CEO. Her career also includes leadership positions at the Medical University of South Carolina, Atlantic Health System, and the American Association of Medical Colleges. Grantham Police are looking for information on the person or persons who vandalized Grantham’s Recreation Park. Police say significant damage was done to various parts of the Recreation Park between August 7th and 8th. Anyone with information or may have seen anything out of the ordinary in the area of the park should contact the Grantham Police at 603-863-6844. A Townshend VT man was ordered held at a mental health facility after he broke into a Dummerston residence early Tuesday morning. Vermont State Police say the Riverside Drive homeowner was locked in a bedroom while an intruder was inside the home yelling and banging on objects in an upstairs bathroom. After several minutes of verbal commands from officers, Benjamin Labrie was taken into custody. Due to mental health concerns, Labrie was take to Brattleboro Memorial Hospital and later transferred to Brattleboro Retreat. Labrie faces charges of Burglary, Unlawful Trespass and Resisting Arrest. Labrie was ordered held at a mental health facility until his arraignment on August 15TH, 2017 at Brattleboro Superior Court. The Hartford Police Department is warning of a new scam involving Green Mountain Power. GMP customers are receiving phone calls about alleged power disconnect notices. Upon calling back, customers are prompted with a nearly identical voice prompt system to GMP. Customers are then informed they are past due on payments and will have their power shut off and demand payment over the phone. GMP ensures its customers that they will never demand payment over the phone. GMP advises if you suspect a call is a scam to hang up immediately and call 1-888-835-4672. 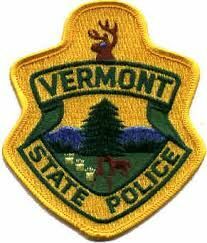 Vermont State Police issued a press release on Tuesday concerning five motor vehicle accidents that resulted in eight fatalities over the past few days. While the causes of these crashes are still under investigation, police said that seven of the eight people who died were not wearing seatbelts. Police noted that statistically a person wearing a seatbelt is 50 – 70 percent more likely to survive a crash than those who do not buckle up. They are asking all of VT drivers to insist on seat belts for all passengers. Impaired driving is the greatest threat to highway safety, according to the release with drivers using their phones, speed, or driving while intoxicated from drugs and/or alcohol. Law Enforcement officers believe the greatest threats to highway safety continue to be drivers impaired by drugs and alcohol, drivers using their phones or other hand held devices, and drivers who speed. VSP announced that State and local police departments would be increasing visibility on the highways and exploring ways to increase the message of the importance of driver responsibility and safety. The Lebanon Police Department will soon be launching “Ice Cream Patrol,” the department’s newest community engagement program. During specific days, Lebanon Police Officers will be traveling through neighborhoods, parks and other city areas to distribute free ice cream. The purpose of the program is to build goodwill in the community and foster positive relationships with the City’s youth population. The department has purchased a portable freezer that can be powered by a police cruiser’s 12V power outlet and will keep the ice cream frozen. Officers will drive throughout the City to build lasting relationships one ice cream cone at a time. 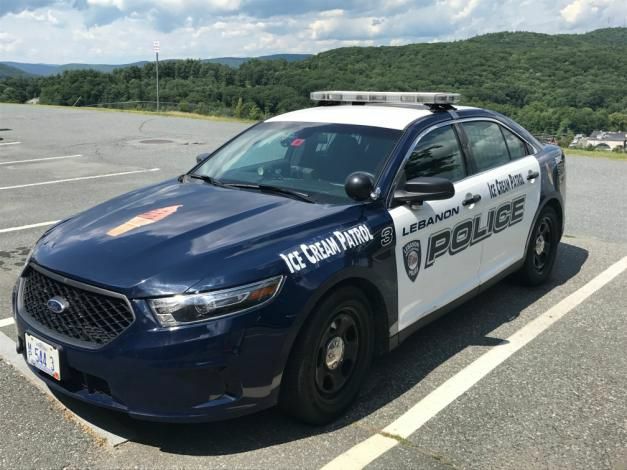 If you wish to have the Lebanon Police Department’s Ice Cream Patrol vehicle visit your neighborhood, please contact us via email at police@lebcity.com. On August 2, 2017, at approximately 9:46 PM Lebanon Police responded to Dartmouth College Highway to assist the Enfield and Canaan Police Departments, along with New Hampshire State Police, after being notified that Enfield Police Officers were pursuing a vehicle into Lebanon. It was further reported that the vehicle being pursued was possibly connected to an attempted robbery in Enfield. As Lebanon officers arrived in the area it was learned the suspect had abandoned the vehicle on Laplante Road and fled into the woods on foot. Lebanon Police, Enfield Police, Plainfield Police, Canaan Police, Hanover Police and the New Hampshire State Police all assisted in the search for the suspect into the early morning hours, which included Lebanon Police K9 Units and an Air Unit from the New Hampshire State Police. Today, at approximately 11:30AM, Lebanon Officers were notified of a suspicious male subject on Hanover Street. Lebanon officers responded and were able to identify the male as Michael Ray Laws, age 32, of Myrtle Beach, South Carolina. Officers were able to identify him as the suspect from the robbery and pursuit. He was taken into custody without incident. The vehicle Laws was driving was reported stolen from Worcester, Massachusetts. A search of the vehicle was conducted and officers located a replica handgun. Officials with Dartmouth-Hitchcock and the state of New Hampshire have reached a settlement over whether Dartmouth Hitchcock provided an adequate number of psychiatrists under a contract at New Hampshire Hospital. Neither admits wrongdoing in the settlement and Dartmouth-Hitchcock will provide the state a $75,000 credit in addition to providing up to $77,500 for an independent study of care at the psychiatric hospital from last November through April. Department of Health and Human Services Commissioner Jeffrey A. Meyers issued the following statement: Both the State and Dartmouth-Hitchcock are committed to providing the best possible care for our family members, friends, and neighbors suffering from mental illness and requiring treatment at New Hampshire Hospital. As the State seeks to address the crisis caused by a shortage of acute care beds and community resources, both the Governor and I are grateful that Dartmouth-Hitchcock – the State’s only academic medical center – provides its services across a range of service areas, including at NHH. 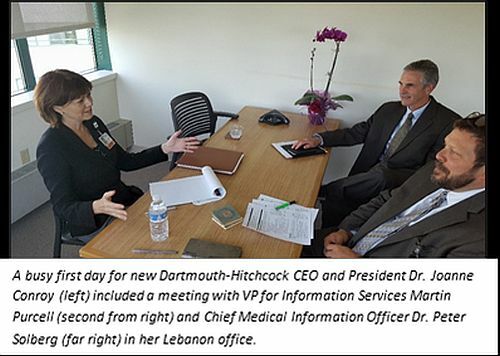 The State recognizes and values Dartmouth-Hitchcock’s crucial role in improving the health of our citizens and we look forward to working together to ensure that patients at NHH receive nothing less than the quality care they deserve. The Children’s Hospital at Dartmouth is one of seven hospitals receiving a $10,000 grant from Huggies. The grant is from the Huggies No Baby Unhugged Program that rewards grants to hospitals across the country to help support or establish volunteer hugging programs. For the over 500,000 premature babies born in the U.S. each year, human touch can have a powerful impact on healthy growth and development. These programs provide much needed physical human interaction for newborns in neonatal intensive care units (NICU) and can help make their transition from the hospital to the home quicker.